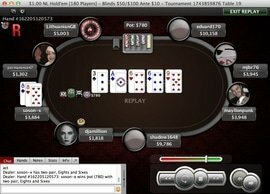 In addition to mastering betting and bluffing strategy in Texas Hold 'Em, to be successful you'll also need to know how to take advantage of the different table positions during the game. Where you are sitting during the game in relation to the dealer can greatly affect how you play and when you bet, so it is important to base your strategy on your placement. The big blind, the small blind, and the under the gun players are the first players to make a move in the game, so they are referred to as the early positions. These positions require some caution and passive play, particularly if you have a mediocre hand. The middle positions, or those that play or bet after the blinds and under the gun players, are called the MPs and the hijack. These are somewhat safe, since you are acting in response to the blind, but you still have to anticipate that late positions can one-up you. Late position players are also called the cut off and the button. These are often considered the best positions to be in during a game of Texas Hold 'Em, because you'll have had time to observe other players and predict their hands before your turn comes up. Your position will determine whether you play a game tight or loose. Generally, the later your position, the looser you can play. When you are one of the first players to act, you should be aggressive only with the very best hands.